Micellar water is one of the most incredible beauty products ever invented and there are a lot of reasons why we should substitute an oil based makeup removers with this magical solution. Originally Micellar water was created in 90's in France, to help women deal with a harsh water in regions. Some people claim that micellar water can replace the whole skin care routine and tons of expensive skin care product we like to use on a daily basis. I was running out of my Balea Nourishing Facial Toner that I liked to use as a regular makeup remover and decided to do a test drive of a super popular Avon Nutra Effects Micellar Cleansing Water. I`ve heard a mixed reviews on this product, some people hated the smell of it, but despite of all the negativity around this product I wanted to try it out myself and share my thought with you. Avon Nutra Effects Micellar Cleansing Water comes in a regular clear plastic bottle and contains 200 ml (about 6.8 oz) of a solution. The product itself is free of soap, parabens, coloring and any fake fragrances. 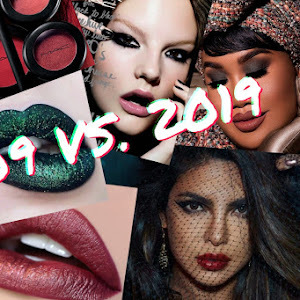 The list of ingredients is terrific, especially for those who like their cosmetics to be natural. 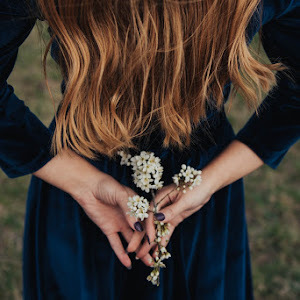 Avon Micellar Water formula mostly consists of a flower and seed extracts (like Honeysuckle Extract, Sunflower Seed Extract, Salvia Hispanica Seed Extract) and this explains it`s weird medical fragrance. I can`t say I`m a big fan of the scent, but it does not bother me at all, I simply don`t mind it. What is your favorite Micellar Water? About a year ago I was lucky enough to try out and fall in love with the Konjac Facial Sponge - probably one of the best skin care product, that was developed to gently exfoliate sensitive facial skin and remove the oil and dirt of the pores. So when the Konjac Sponge Co proposed me to try out their new award winning product with a beautiful and sweet name Angel Cloth, I couldn't hold my excitement and was counting the days till it`s arrival. The 100% Pure Konjac Angel Cloth* comes in a big plastic packaging that protects the cloth from the damage, because it is so easy to ruin it while dry. As any other product by this brand the Angel Cloth is made of volcanic plant called Konjac Potato or Konnyaku, it is free of any chemicals, coloring, additives and irritants, which may harm our gentle facial skin or trigger an allergic reaction. The Angel Cloth arrives dry, so before starting to use it you`ll need to hydrate the cloth in warm or cold water. You can also add a drop of your favorite cleanser if you like it foamy ;) I`ll be honest with you, when the angel cloth touches the skin it is the best feeling ever, I could rub my face all day long! Konjac fibers gently exfoliate the skin, removing dry skin cells and refreshing it`s look. 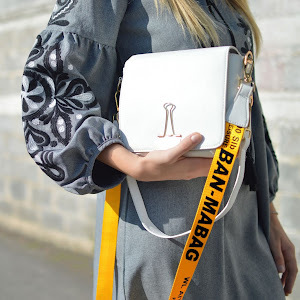 Don`t forget that Angel Cloth is made 100 % of natural plant, it is very gentle and easy to damage, so make sure to take a good care of the cloth to make it last longer. After the usage rinse your sponge again and let it dry in a nicely ventilated place. I would not recommend you to let the cloth in a bathroom, the mold can simply destroy it. 100% Pure Konjac Angel Cloth retails for £12.99 ($17.24) and you can order it right away from the official Konjac Sponge Co website, they have more awesome products to choose from on their website for every skin type and condition. 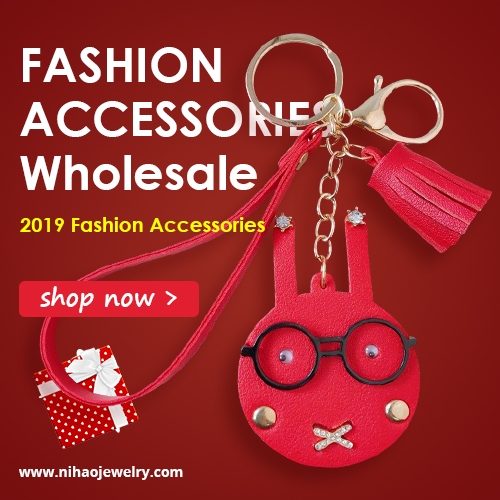 All the product are hand made and tested for purity, so when you are using product by Konjac Sponge Co, you can be sure that your skin will receive the softest and purest care. Thank you very much for reading my review, I hope it will be useful for some of you, see you soon! My all time favorite way to remove makeup, especially eye makeup is to simply to wash it away. 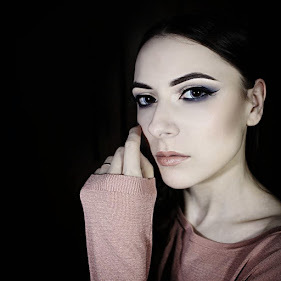 I don`t really care if soap is drying my skin, but I don`t the smell and residue that makeup remover leaves on my skin. 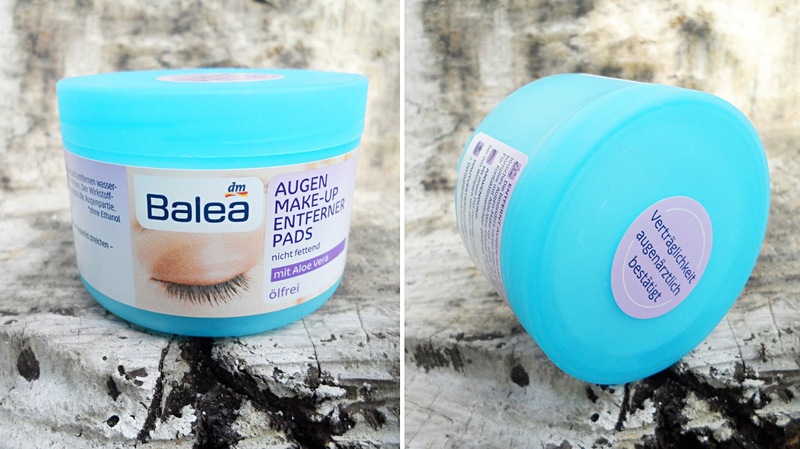 But recently I had an opportunity to try out Balea Augen Make-up Entfernerpads ölfrei or an Oil Free Eye Make Up Remover by a very famous European brand Balea, so let me share my little review and impressions on this product. 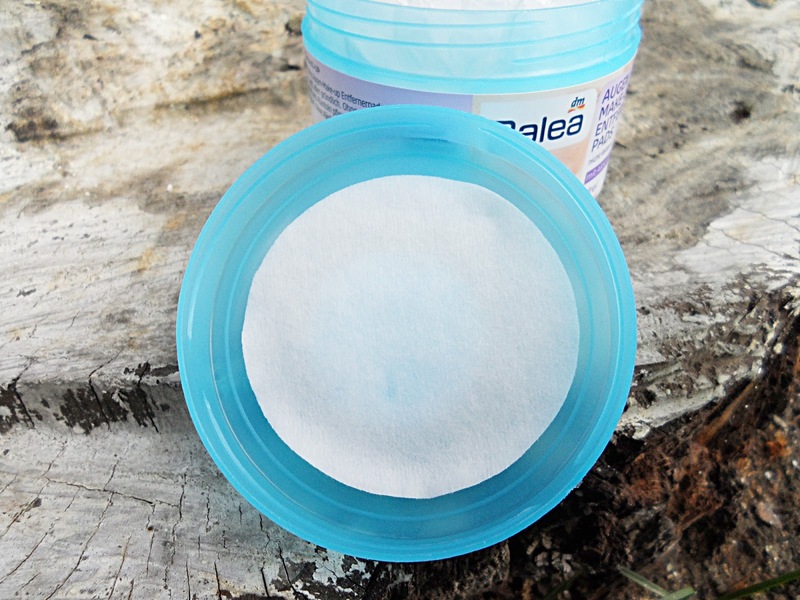 Balea Oil Free Eye Make Up Remover comes in a simple plastic container, which I don`t find very comfortable, because it broke on the very next day when I lightly pressed it, but I know it was my fault so I don`t blame the brand :) It contains 50 very thin cotton pads, which are generously soaked in a special oil free remover. It has a very soft and gentle formula, it does not leave any unnecessary residue on the skin and has an amazing fragrance. The skin feels absolutely clean and fresh, it removes even the heavy smokey makeup, that I love to wear even on a daily basis. It is super fast and easy to use this makeup removing pads, they are already prepared for usage, so all you need to do is gently run the pad all over your eyes, face and neck and you are ready for sleep. 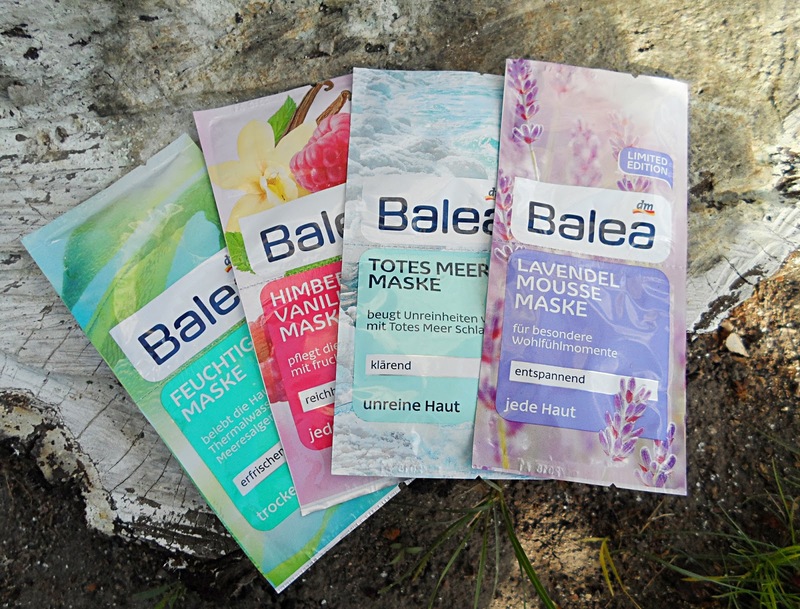 Balea Oil Free Eye Make Up Remover has everything I ever needed from a good makeup remover, it retails for 095€ at the moment and you can buy it at any DM drugstore market in Europe. This product is perfect for any skin type, especially for oily and acne prone skin, but my dry skin was very satisfied as well! So the very first product I want to talk about is Balea Flower Frost Body Lotion from a limited winter edition. I`m not a huge fan of rose fragrance in beauty products, but I almost don`t feel it in this lotion, unlike a sweet fruity aroma of passion fruit, it is divine. Even though Frost Flower is a winter body lotion, the texture of the product is pretty light and even a little bit runny. It makes my skin silky and lightly moisturized, so I think I`ll be using it in the summer with pleasure. 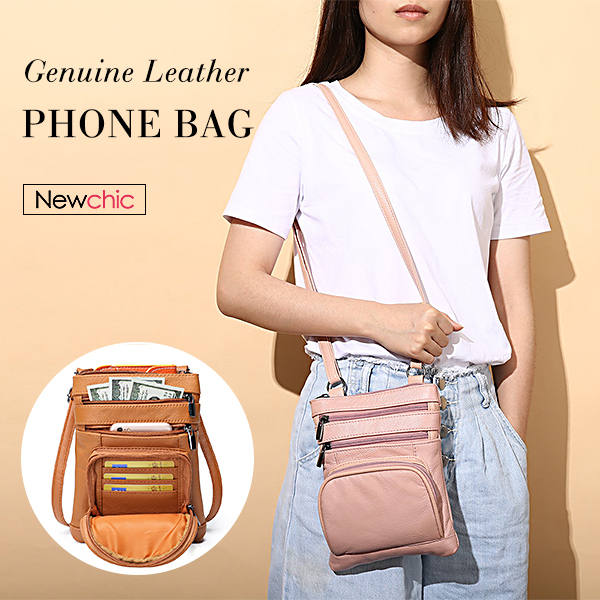 Unfortunately, I haven`t found a link on the official Balea site on this product, probably because it was a limited addition. The next product is a Balea Handcreme 2in1 Pflege & Maske mit Macadamia - Nussöl - it is a heavy moisturizing hand cream and mask with an oil of macadamia nut. 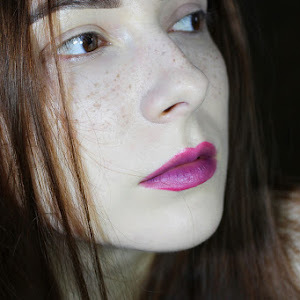 I was not expecting it will be so nourishing, there is a huge amount of the macadamia seed oil in this cream, I even pretend to use it in winter, when I struggle with a dry skin on my knees, elbows and feet. The product has a very pleasant scent as well, but it takes quite a time to absorb into the skin. Balea Erfrischendes Waschgel is an everyday washing gel for a normal and mixed skin type. It has an extract of lotus and bamboo, which helps to keep a natural balance of the moisture in the skin. I also found a Citric Acid in the list of the ingredients, it helps to clean the clogged pores and black heads, preventing the appearance of the new ones. I`m very excited to try it out, hope it will not dry out my skin. 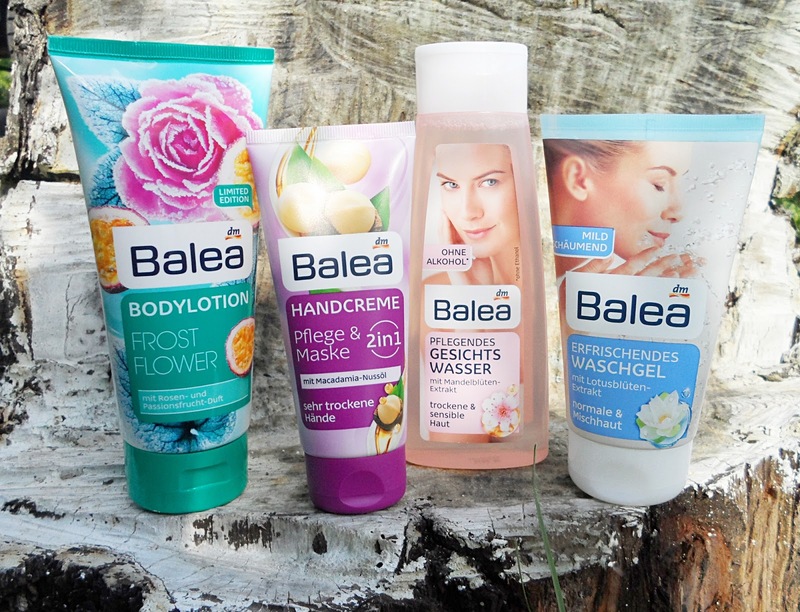 The Balea Pflegendes Gesichtswasser or simply a Toner by Balea, is a product I already had in the past. It has no alcohol or ethanol, so even a people with a very sensitive or acne prone skin can use it on a daily basis. It has a very light and sweet scent and I love to use it as a makeup remover, because it gently and thoroughly removes the residue of a makeup and oil from the skin, without drying or irritating it. I also use it after the facial mask or right after I wash my face, to help my favorite facial cream absorb deeply into the skin. The next two items I pretend to settle in my bag, because I know I will always need them close to me in the summer. 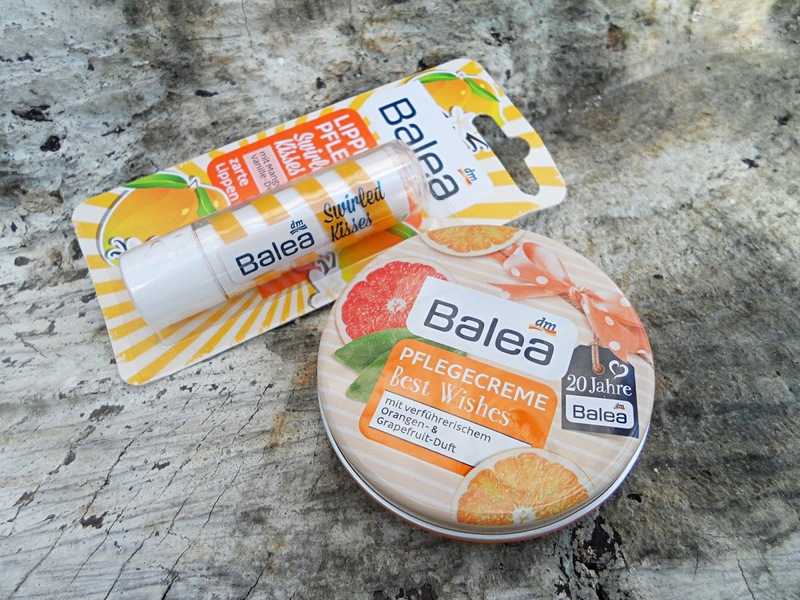 It is a small travel sized care cream and a lip balm, I haven`t found the links to these products, but I really loved them both. Fresh citrus scent and a nice moisturizing abilities, it is everything I need at the moment. 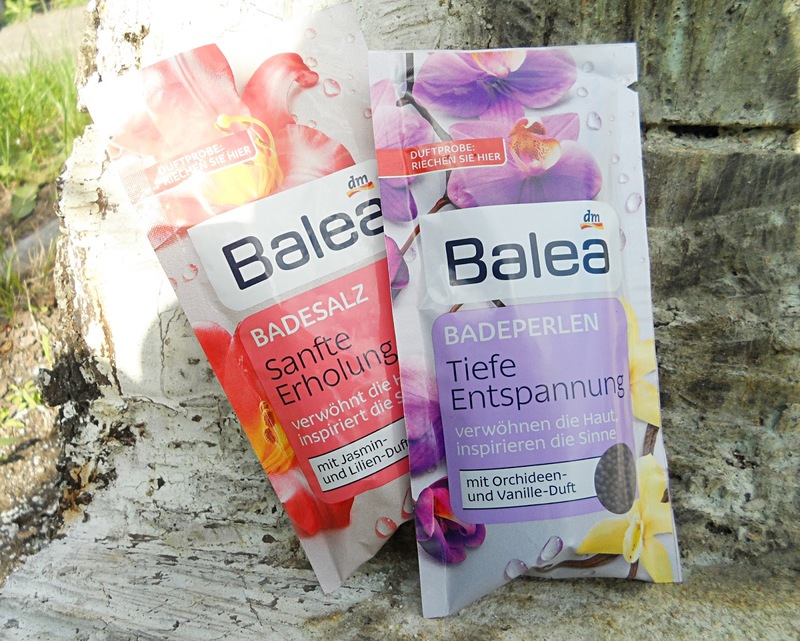 And just a few little words about the Balea Badesalz Sanfte Erholung ( Bath Salt Jasmine & Lilly) and a Balea Badeperlen Tiefe Entspannung (Bath Pearls Black Orchid and Vanilla). Both products meant to deeply relax, calm down and satisfy our noses, because they have a very strong and sweet scent.